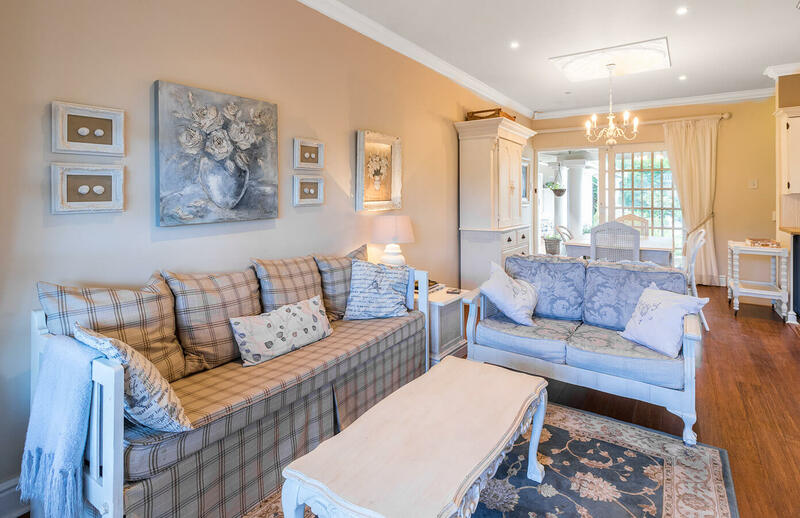 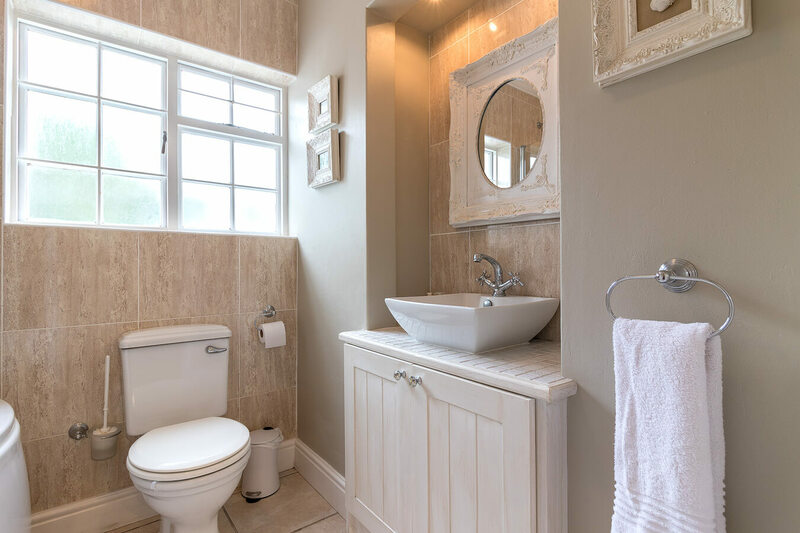 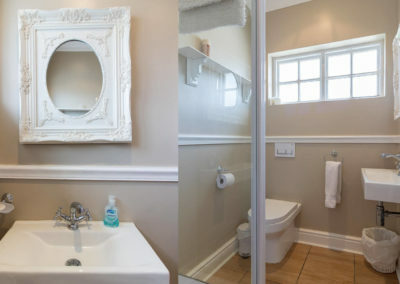 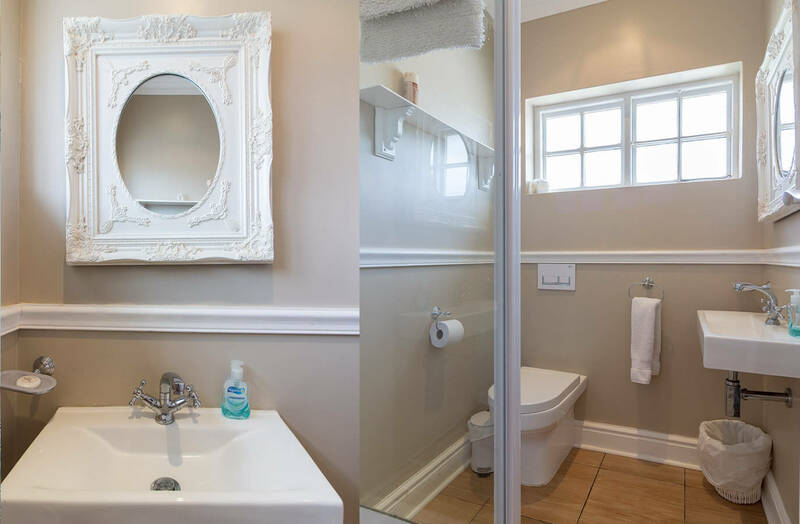 Come and stay at Coniston House, in one of our two luxurious self catering garden suites, well situated within easy walking distance of the village, both rivers and Middle Beach. 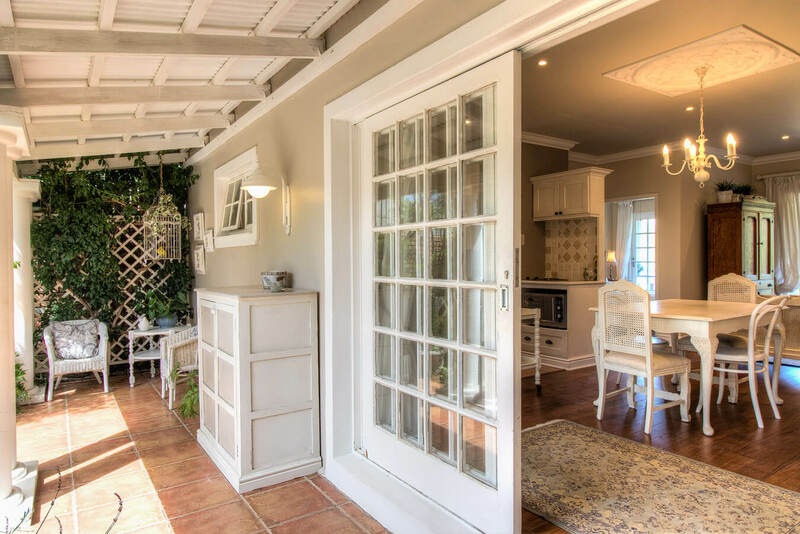 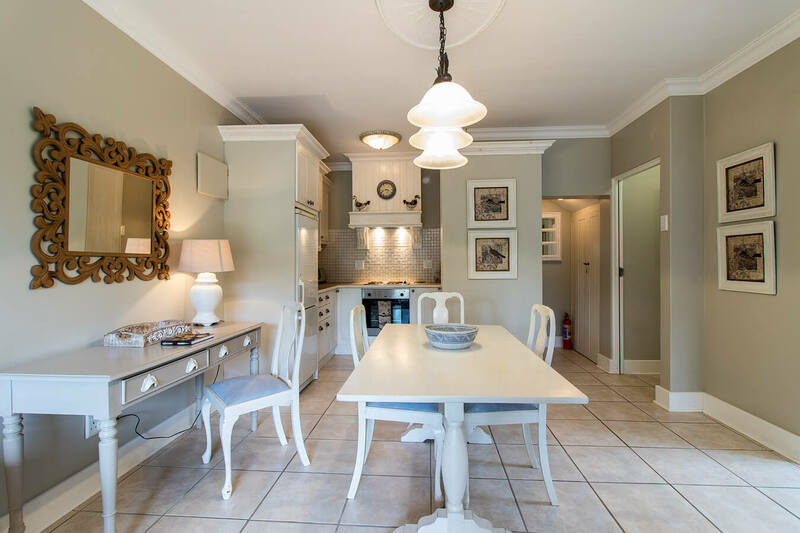 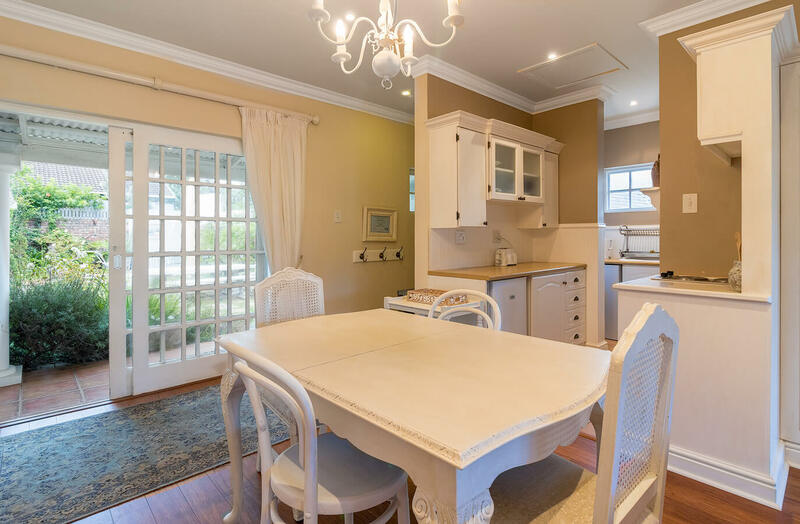 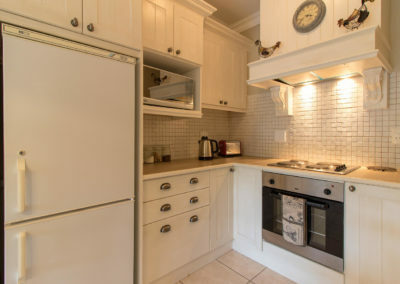 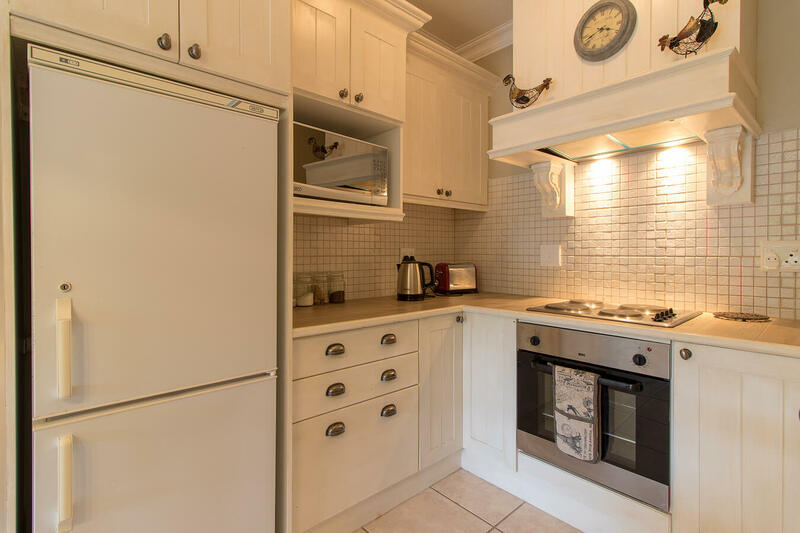 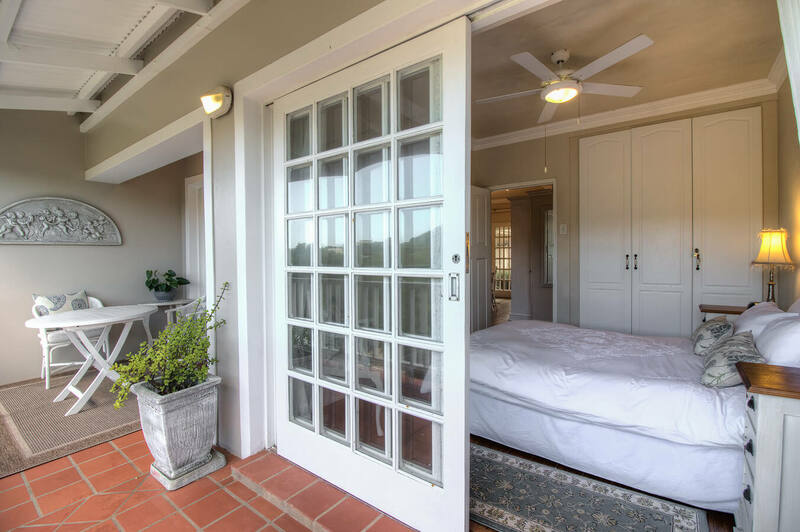 Two self-contained self catering suites with a lockable inter-leading door, can be rented as individual units or one combined unit. 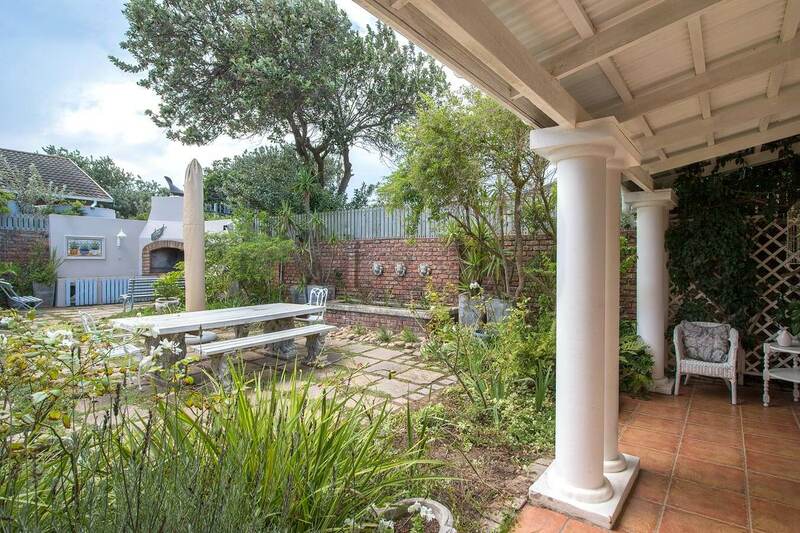 Very secure, walled off property with automated gate and alarm with armed response. 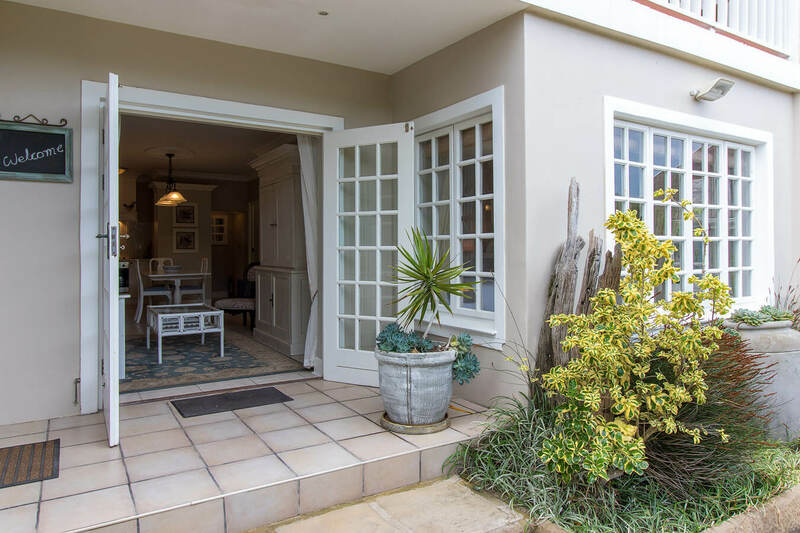 Safe & secure off-street parking. 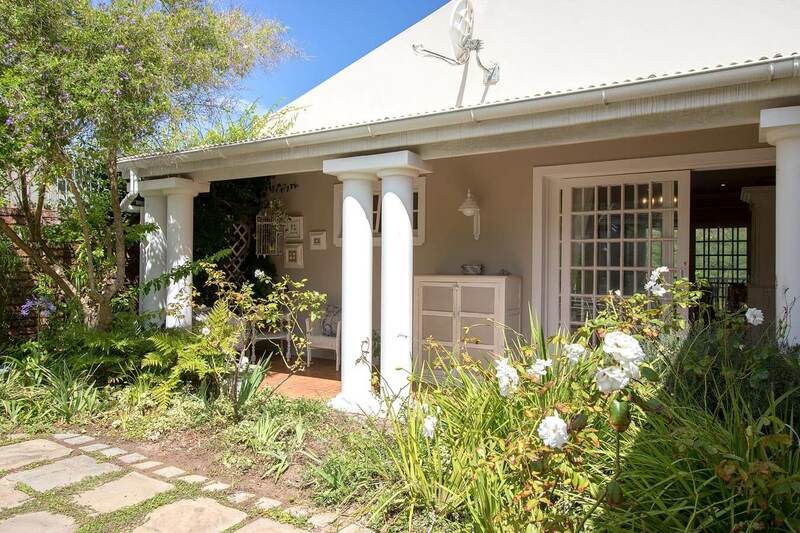 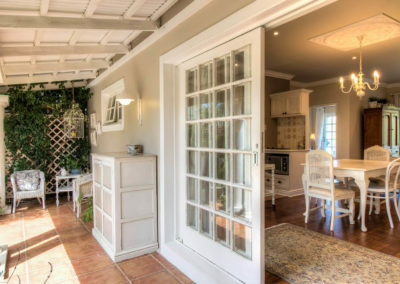 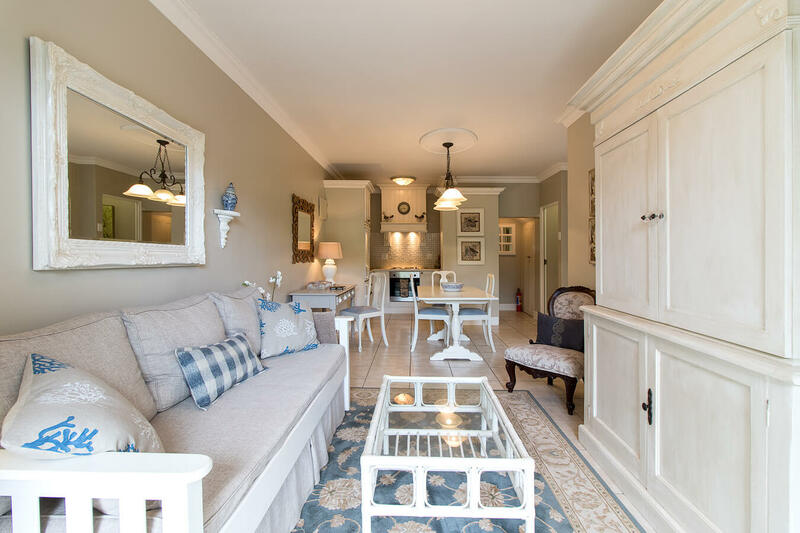 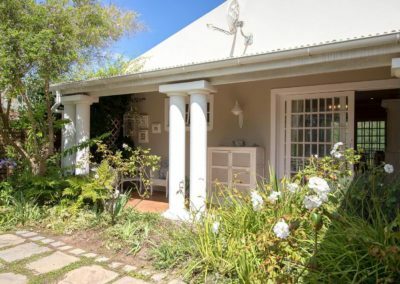 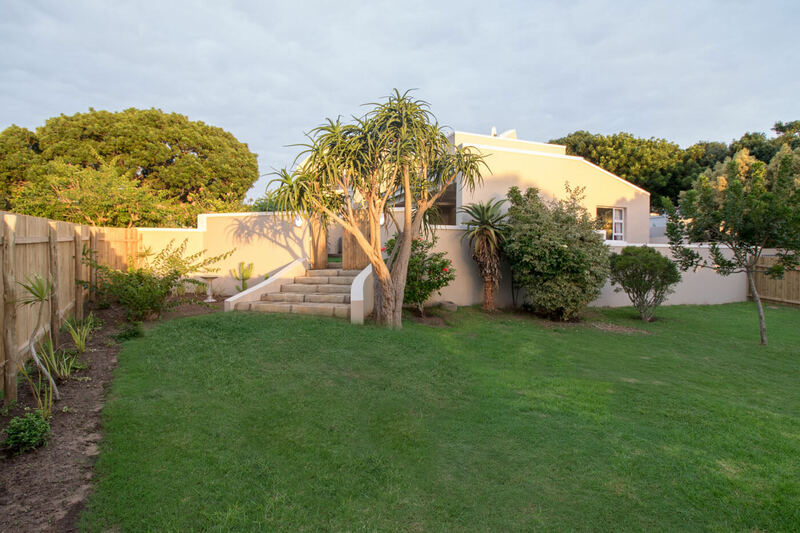 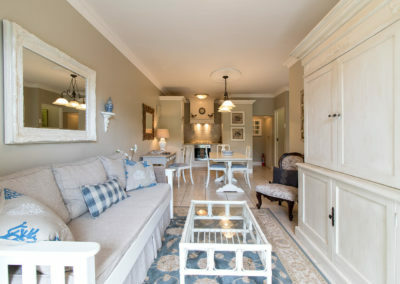 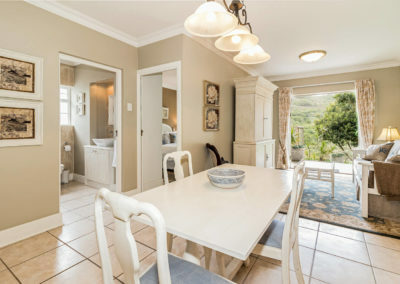 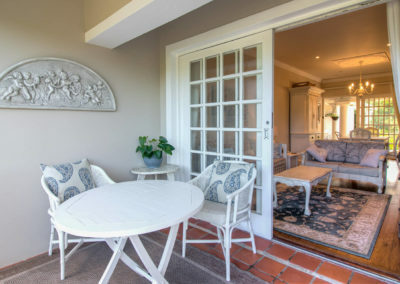 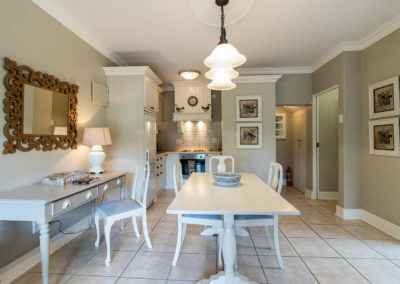 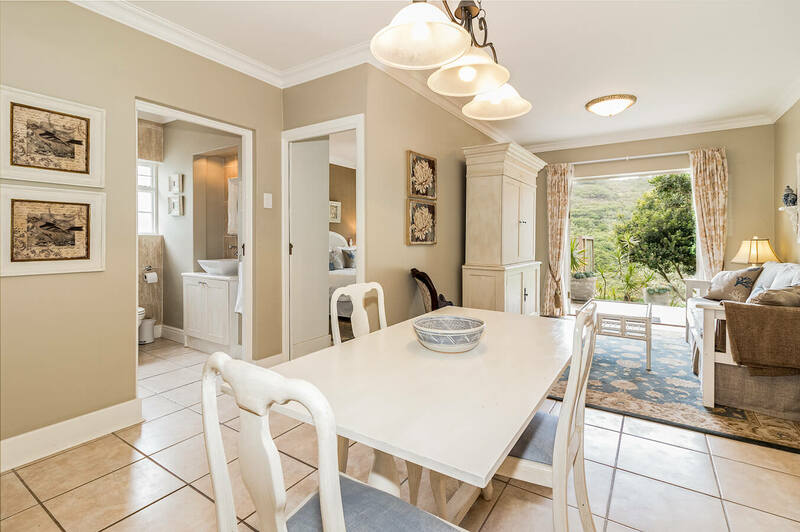 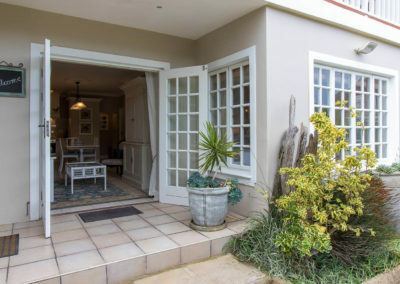 Within easy walking distance of shops, restaurants and some of South Africa’s best beaches. 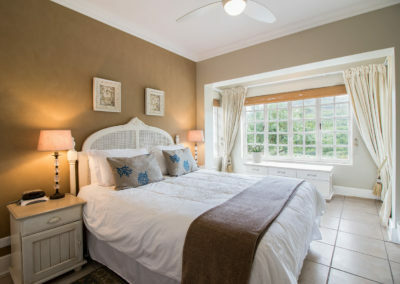 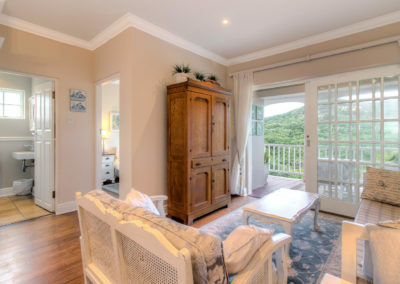 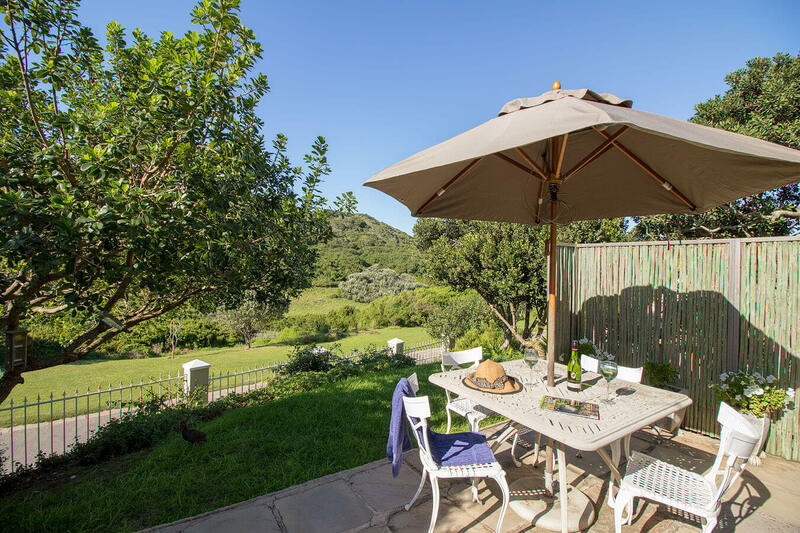 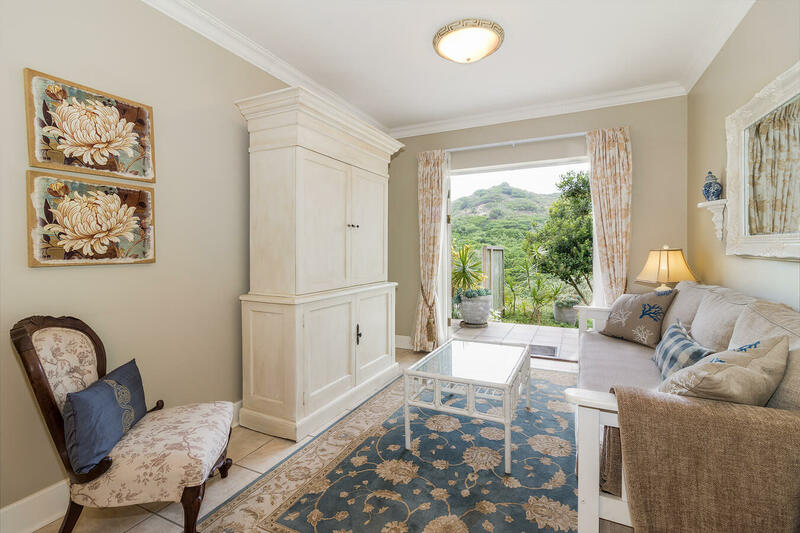 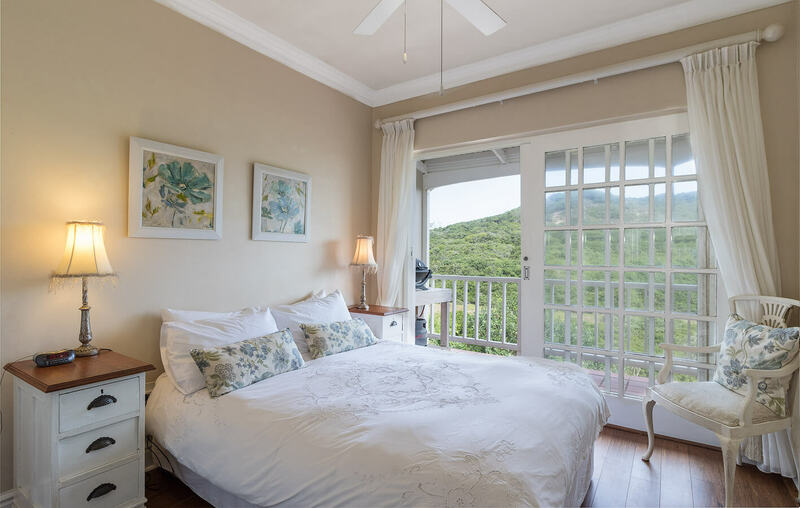 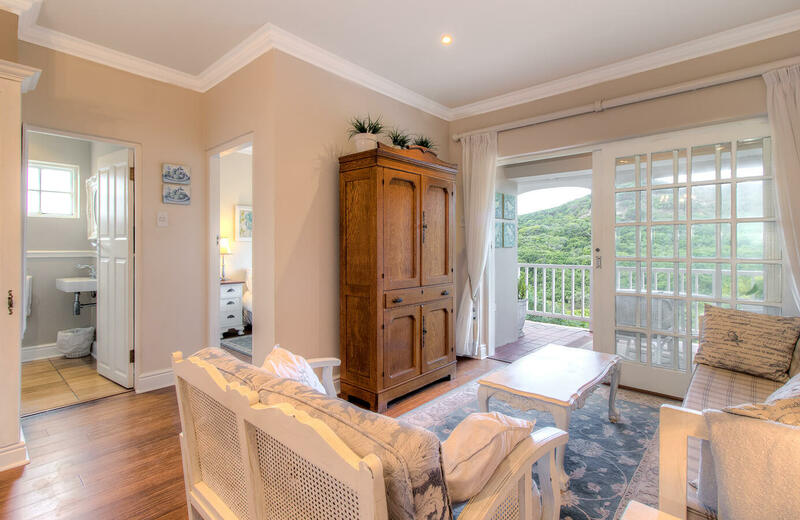 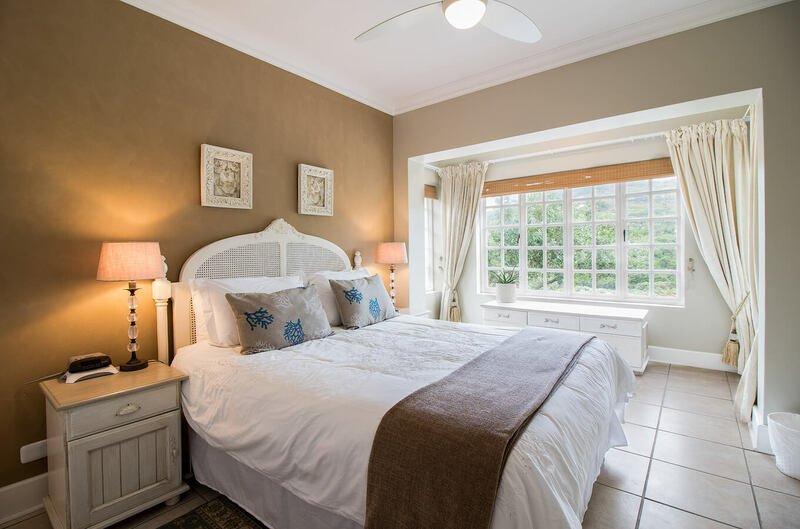 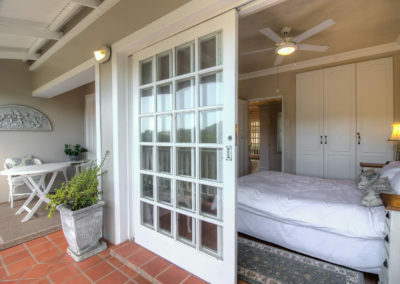 This luxurious and comfortable self catering suite features a private balcony with sweeping views over the Joan Muirhead Nature Reserve. 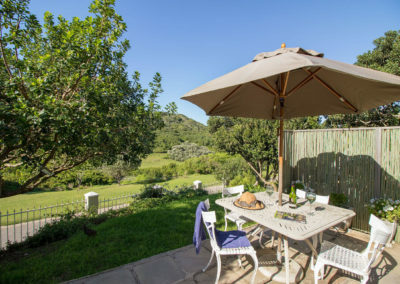 Bushbuck, Grysbok and Blue Duiker often come out to graze below the tree line and guinea fowl and spurfowl are regular visitors to the garden. 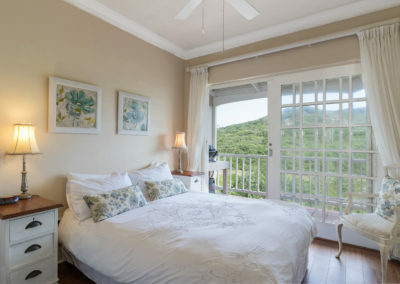 Hear the waves and take an early morning walk to nearby Middle Beach. 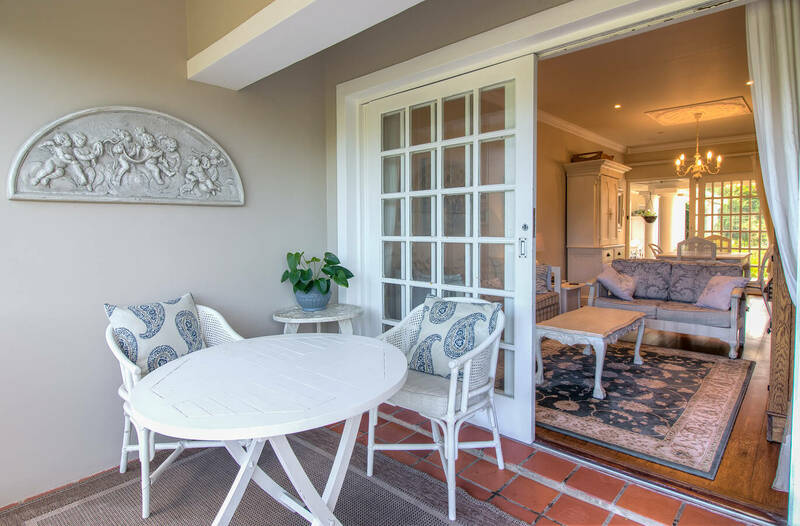 Situated below the first floor suite, this unit has similar views over the reserve and features its own private outdoor living area with barbeque , garden dining suite and large sun umbrella. 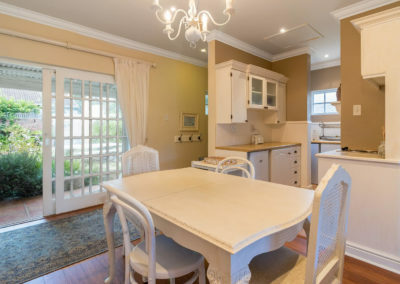 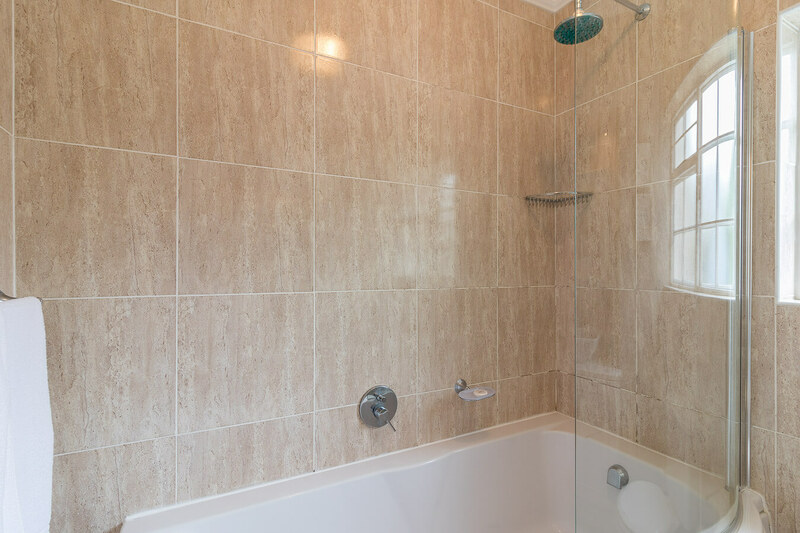 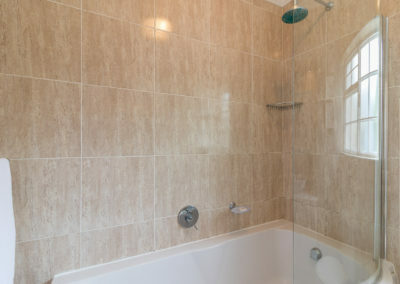 It is slightly larger than the first floor unit, with a larger bedroom and more extensive cooking facilities.